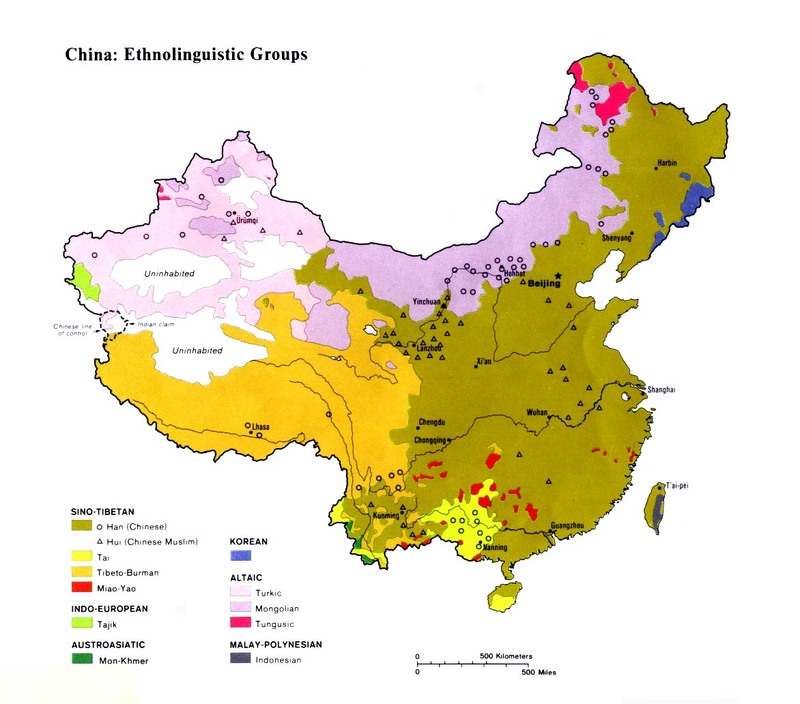 The Za ethnic group is one of the most fascinating examples of fusion in China today. About 200 years ago the Za were believed to be the same as today's Geman Deng people, but at that time Tibetan political and religious leaders entered the area and exerted their influence over the people there. The result is a new ethnic group called Za by the Tibetans, who speak a distinct language from the Deng and who practice different customs. The Za were not counted under any official nationality in the 1990 China census but instead were included in a list of Undetermined Minorities. Two hundred years ago, the Tibetans entered this area and set up a combined rule of government and religion, and subsequently the original inhabitants of the area slowly became Tibetanized. The Tibetans ruled the Za with an iron fist. The Za were not even allowed to travel outside the area without prior permission of the monk or administrator. Today, the Za have changed from the Geman Deng so much that they deserve to be viewed as a distinct ethnolinguistic group. The Za have lost the use of all of their original customs and festivals; these are still practiced by Geman Deng people who lived outside the influence of Tibetan rule. Culturally the Za have become identical to the Tibetans. The forefathers of the Za people were polytheists, worshiping nature and a host of spirits. However, the Tibetans took over the area long ago, and today the Za have been thoroughly converted to the Tibetan Buddhist religion. Christianity has yet to make its presence felt in the isolated part of Tibet inhabited by the Za. Few roads led into the area until recently. Contact between the Za and the outside world is now possible. Today, the Za remain unaware of the existence of Christianity and are a completely unreached people group. View Za, Charumba in all countries. 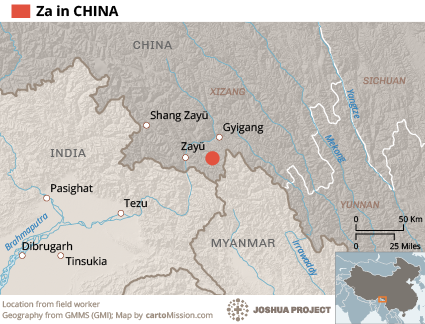 Location in Country: Approximately 2,500 people belonging to an ethnic group called the Za live in a remote area of southeastern Tibet. The Za, who were originally a collection of tribal peoples including relatives of today's Geman Deng people, live between Xiachayu and the Wanong Valley in Zayu County. Very few foreigners have ever ventured into this extremely remote part of China.